I guess you could say it's officially summer here in the Chicago area! I'm so excited to officially be soaking in some warm sunshine, enjoy long walks with the kids and have longer days to just enjoy what life's given us. Alright I know I'm getting a little sentimental but summer truly has been one of my favorite seasons ( and because summer is when my birthday happens so ya know.. ) Also, when we shot this it was about 30 mile an hour winds so don't mind the crazy top knot blowing everywhere! EEK! 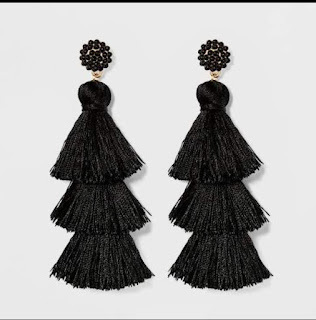 Earrings - I'm actually not a big earring person but when I found these on sale, I loved the layered tassels! They were so fun to either dress up with a cute shift dress or dress down with white pants and a black top! You'll love them too, I can bet that! White V Neck - I shared this on my stories the other day and you guys were loving it! 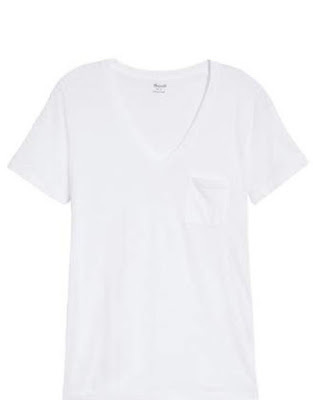 I always have a comfortable v-neck in my closet and if it's one I can see myself wearing a ton, I'll get a bunch of colors in them. 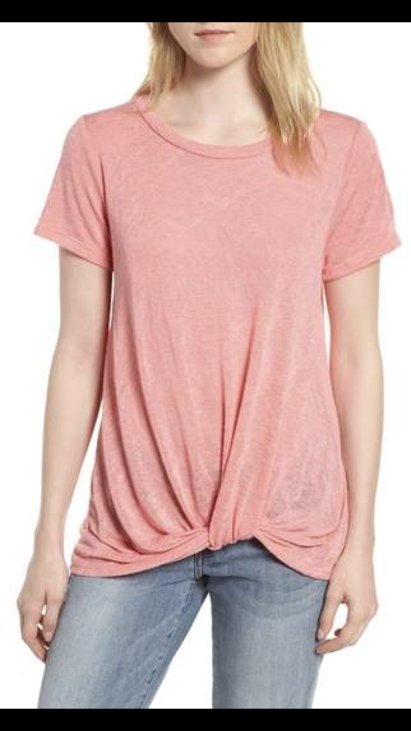 I love this one for being under $20 and extremely soft! I also love this pink front tie shirt. It's light weight and perfect to layer! 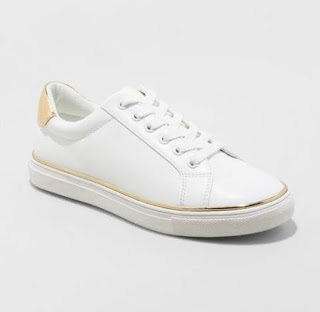 Sneakers - There is nothing more that screams summer to me then a cute pair of shoes! I'm so excited to have found a great pair of white ones like this. They are extremely comfortable and I actually am able to keep them white all through the upcoming months. 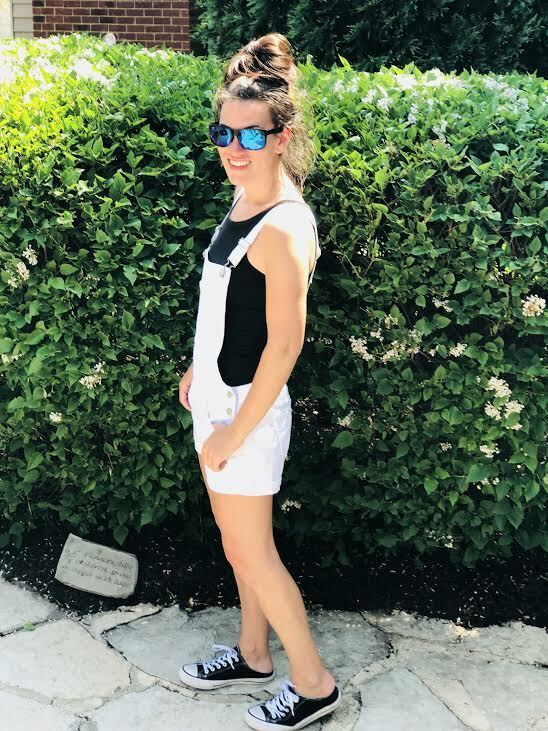 Comfortable Dress - I love a love a good light weight dress to throw on in the morning and still can wear at night to a date with my girls or my husband ( I usually just change shoes ). This one is on sale right now and the perfect little navy dress to wear! I love the streps and how flowy it is! What are some basic's that are your staple in your closet , especially when it comes to warmer weather!? 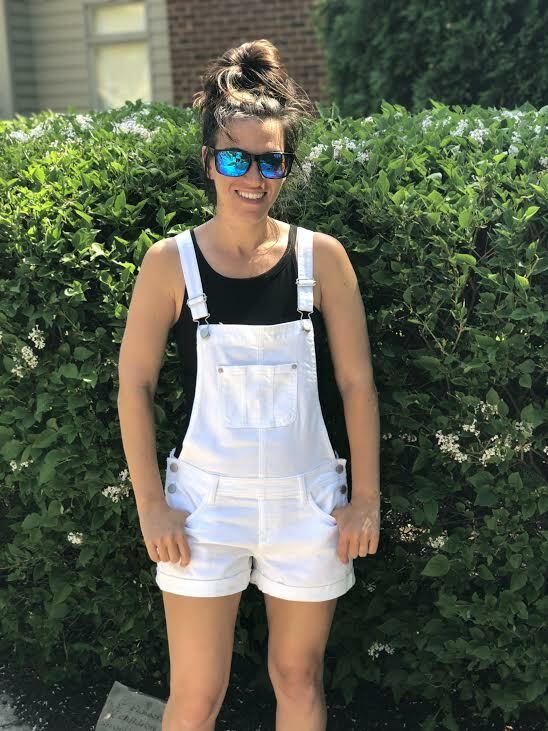 I love your overalls here; I really want to get some!! Thanks for the ideas - that pink shirt and navy dress are adorable! I'm definitely someone who wears a lot of dresses in the summer. And I wear sneakers a lot too, especially if I'm going to be walking around a ton. Love your picks! I love the tassle earrings! I have a few pairs but I love the black! Love those white overalls! 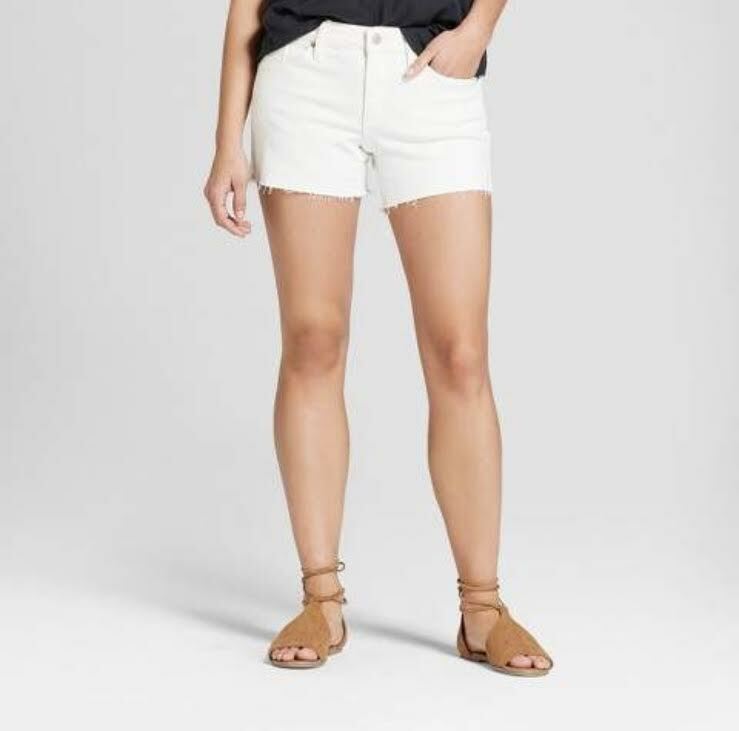 White shorts are so fun for summer! Love a good basics collection and love all of these! Bring on summer! 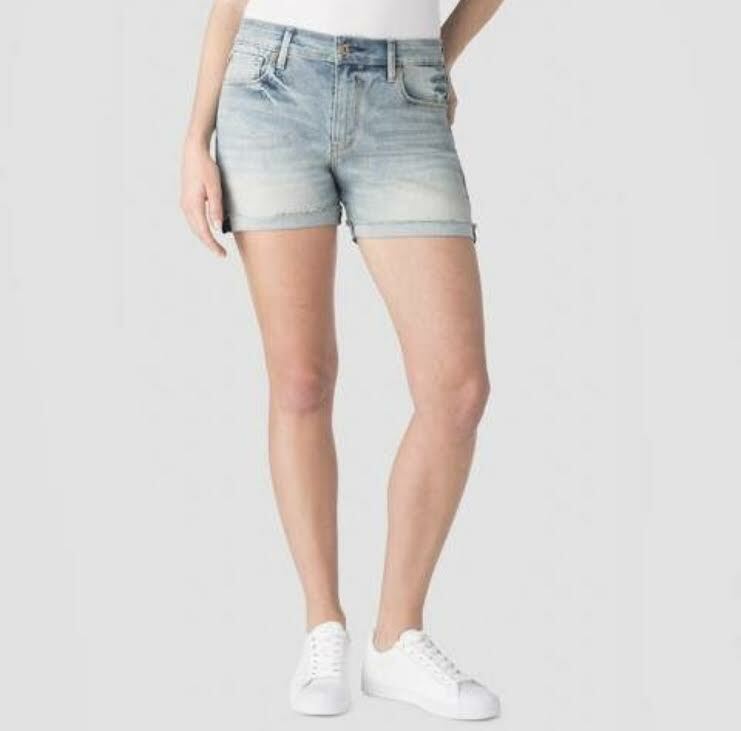 I love your basics collection for summer. It's simple and yet stylish at the same time. I love the idea of being comfy this summer while still looking awesome! I'm all about the basics! Love this combo, and these overalls. I'm a huge white/light denim fan! I live in shorts identical to both of those whenever it's warm. I wish we weren't currently in Winter here in Australia! There are some awesome picks here. I think comfort is key when it comes to dressing for summer and I really like the basics you chose. Those earrings are just my style! I love comfy t-shirts and dresses as well. I always try to find a few pairs of shoes that go with everything each season. Then I wear them all the time. Loving your picks! It's so fun to accessorize in the summer so simple basics that are versatile are the way to go! I love your style!! So many cute things... 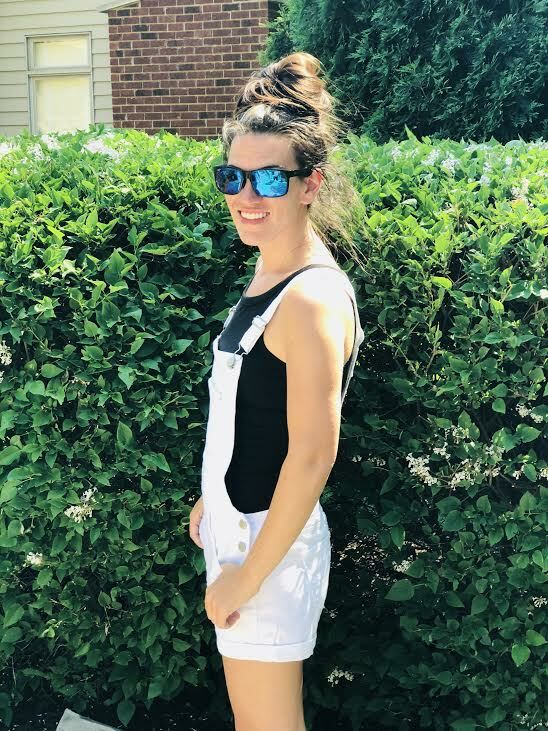 I have been wanting to get a pair of overalls!!! But I'm loving those earrings! These are such adorable outfits for summer! I love the white overalls so much!!!! Super adorable and cute!! Such fun choices! 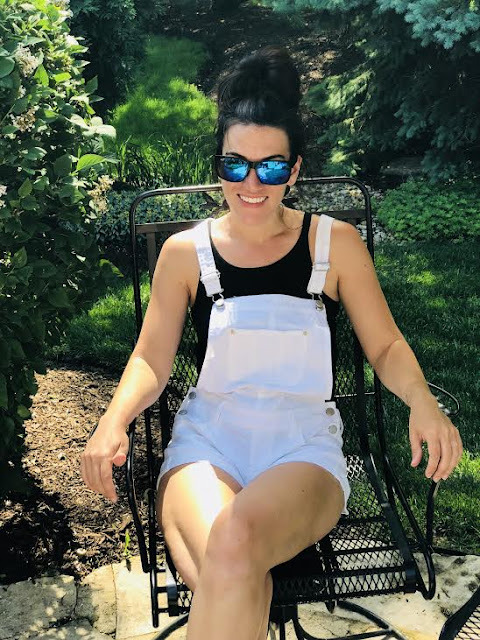 I really need to get a pair of cute overall shorts. They are so so adorable! Fabulous, fun selections! Love the t-shirts and casual wear. Great options for Summer of 2018!